1. Would you be interested in doing roleplay in RoR? Here's a little idea I'm kind of bringing back, it's not my idea but it's an abandoned one so here it is. I was looking around the RoR forums to see if there were people who did trucking roleplay, like driving semis and hauling loads. I couldn't find one, so I decided I'd see who'd be interested in it here. For those of you who don't know or haven't really seen RoR outside of what we do, basically the idea is roleplay in RoR. Essentially, it's like what we do with leagues but instead of monster trucks it is tow trucks, semi trucks, fire trucks, etc. I haven't really seen anything on the new RoR forums that does this stuff, and although there is a massive RoR school bus subculture on Youtube that does roleplay, for reasons I don't want to explain they kind of stay to themselves and the forum users from the RoR site don't really get into the school bus thing. Either way, I've seen this thing get started up on RoR only to fail, I've seen this thing start up on Sim Monsters only to never really get legitimized, and I was wondering if anyone from here would be interested in this kind of thing. It could even be having recovery vehicles like tow trucks or loaders in our monster truck leagues (I know this would add a ton of time to our events, but with the new updates, things like this are becoming possible). Or drag racing. 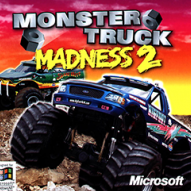 Doesn't really matter but I am interested in seeing what we could do since the only RoR roleplaying you can do now is buses or monster trucks, and there are ways to add more to the experience. If you have an idea for this, please post below. I'm not sure on what it will exactly be, but there's tons of possibilities. I tried to start a towing company on here years ago but nobody wanted to join me in my towing adventures.